One one side of the argument, cyclists say that making helmets mandatory is expensive and will deter people from riding their bikes. The average helmet can cost around $40, and can run all the way up to the hundreds of dollars depending on the level of technology and sophistication. Cyclists argue that being forced to wear a helmet is also a restriction of their freedom. What step would be next? Forcing cyclists to wear yellow reflective gear, elbow pads, knee pads or a full suit of armour? 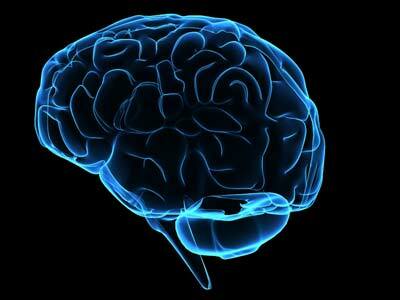 The other side of the argument is that the brain is a worthwhile body part to protect. The best way of protecting the brain is through wearing a helmet. It’s akin to laws requiring motorists to wear seat belts. We all know that seat belts save lives. The same can be said for bicycle helmets. They save lives and prevent injury. Cyclists combat this arguing that helmeted bike riders are prone to taking more risks and riding at a faster pace because they feel more protected with the helmet. Those bike riders who don’t wear helmets tend to ride slower, tend to be more cautious, and tend to take less risks. There is no empirical data to support this argument. There is an excellent article in the Globe and Mail on the issue of bike safety and helmet legislation. Here is the link to that article. In Ontario, bike helmets are mandatory for children, but not adults. Our government is looking at changing this legislation. Editorial comment: Ontario’s government will make slashes to car insurance much quicker than they ever will do so when it comes to the safety of its constituents. Each year, 1.8 million people in the United States experience a minor traumatic brain injuiry (MTBI). There are around 1.4 million Canadians living with brain injury and brain injury like symptoms. It’s said that 1 in out of every 11 Canadians knows somebody who is living, or trying to cope living through a brain injury or head injury. Around 19,000 Ontarians will experience some form of brain injury this year. Brain injury costs Ontario’s health care system millions of dollars each year; and some of these injuries are preventable with the proper protection. Brain injury can lead to depression, dizziness, moodiness, memory loss, impaired concentration, suicidal ideation, headaches, fatigue, blurred vision, ringing in the ears, slurred speech, word finding difficulties, nausea, anxiety and other cognitive difficulties. None of these symptoms are easy to live with. Brain injury in many instances is preventable, so take care of your head.